Vicente Barrientos Yépez, born in Salamanca, Guanajuato, México. 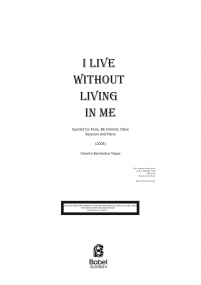 He realized his musical studies in Composition and Conducting in the National School of Music of Mexico (UNAM), the "Universität Mozarteum Salzburg" (Salzburg, Austria), and the IRCAM (Paris, France). 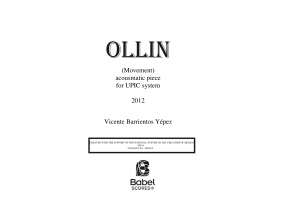 He studied Conducting with: Jorge Rotter (Salzburg, Austria), Composition with: Gabriela Ortíz, Ricardo Zohn, Juan Trigos, José Luis Castillo and Ignacio Baca (México, D.F. ), Marco Stroppa, Martín Matalon (París, France), Reinhard Febel (Salzburg, Austria), and he realized his Piano studies with: Michael Walter (Austria). 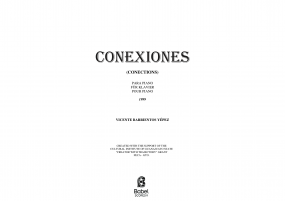 He also has done courses in composition with: George Crumb, Franco Donatoni+,Simone Fontanelli , Alexander Müllenbach, Julio Estrada, as well as courses in orchestral conducting with: José Luis Castillo, Juan Trigos and Enrique Bátiz. His music have been performed in some festivals like: International Gaudeamus Music Week (Amsterdam, Holland), IBLA Grand Prize (NYC-USA), "Residenzgallerie", Komponisten Podium (Austria), Forum IRCAM (Paris, France), Festival Internacional Cervantino, Foro Internacional de Música Nueva (México), among others. 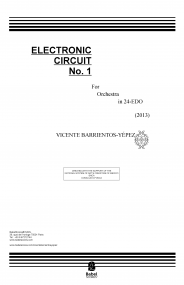 And his compositions have been performed by Orchestras like: Dutch Radio Kamer Orkest - RKO (Holland), Orquesta Sinfónica de Aguascalientes, Orquesta Sinfónica de la Universidad de Guanajuato, Orquesta de Baja California (México), and by ensembles like: Alacrán del Cántaro, Ensamble Ehecalli (México), Icarus Ensemble (Italy), Österreichisches Ensemble für Neue Musik -ÖENM, Mozarteum Salzburg Trio - Laura Schroeder (Austria), Ana Cervantes (USA/México), and by himself in piano recitals and conducting his own pieces witn diverses ensembles. He was finalist in the Palazzo del Majno 2010, and "Jury Selection" of the Gaudeamus Prize 2000 (Amsterdam-Holland), Laureate as "Acomplished Musician" by the IBLA Grand Prize 2001 (NYC-USA), and 2nd Place in Selection for Film Scores 2007 in Warner Brothers, Hollywood (Ca. USA). He have received Grants for music creation from the Culture's Institute of Guanajuato in 1996, 1999, 2004, the National Funds for the Culture and Arts of México (FONCA) in 2000, 2004, and scholarships form the Particular Secretariat of the Guanajuato State Government and the International Summer Academy Mozarteum in 1999, the AAI-Salzburg and the Mozarteum Rektorat in 2002, and from the IRCAM in Paris in the year 2003. 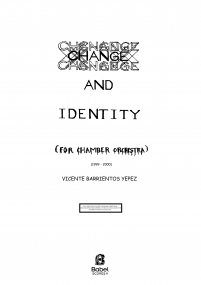 As a conductor he have participated in some concerts in: Austria, Germany, Argentina and México, and he have had presentations in differents ensembles like: Dédalus Ensemble (Germany), Mozarteum Sommerakademie Ensemble (Austria), Symphonic Wind Ensemble of Córdoba (Argentina), Symphonic Wind Ensemble of Guanajuato State and the Camerata of the Desert (México), as well as he have been music professor in the University of Guanajuato (1997-1999 / 2004-2005) and in the IECG (2003-2007). 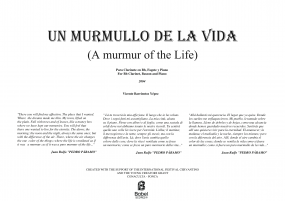 He also have given music courses (Analysis, History, Composition) conferences and piano recitals by means of the Conaculta-INBA in 24 differents States from México, as well as conferences of his music compositions in the Gaudeamus Foundation (Holland) and the IRCAM in Paris (France). 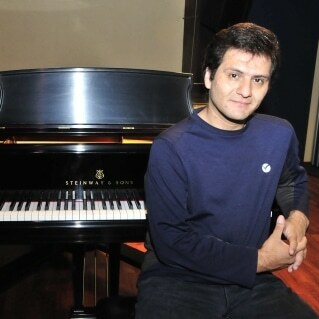 Since 2007 he is "Artistic Creator" of the National System of Art Creators of México (SNCA / CONACULTA-INBA), a Grant program in which he develops a project for the realization of 3 Cd Roms about the creative process, and the recording of 3 Cd's of his orchestral and chamber music, with the support of the "Camerata of the Desert", where he actually participate as an guest conductor, he is also member of the Forum IRCAM in París.